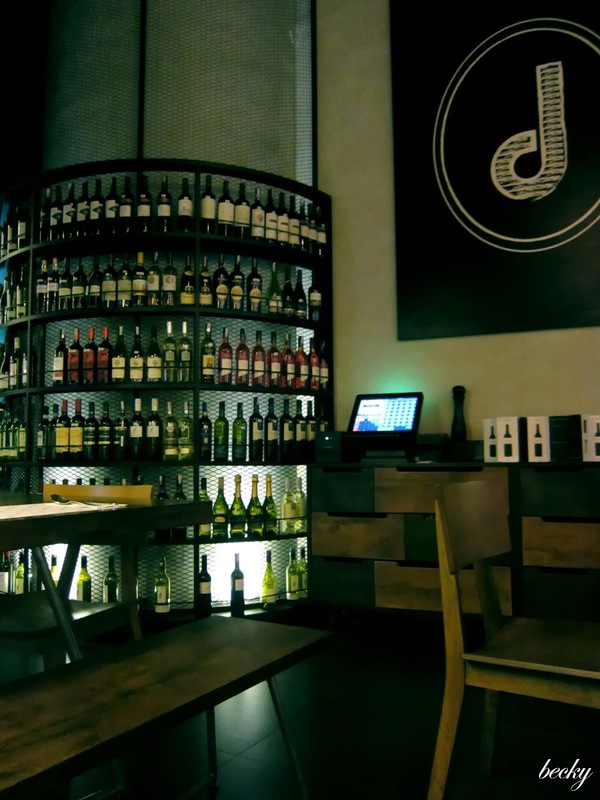 My first visit to D'italiane Kitchen was then branch in Jaya33, and it left quite a positive impression on me. 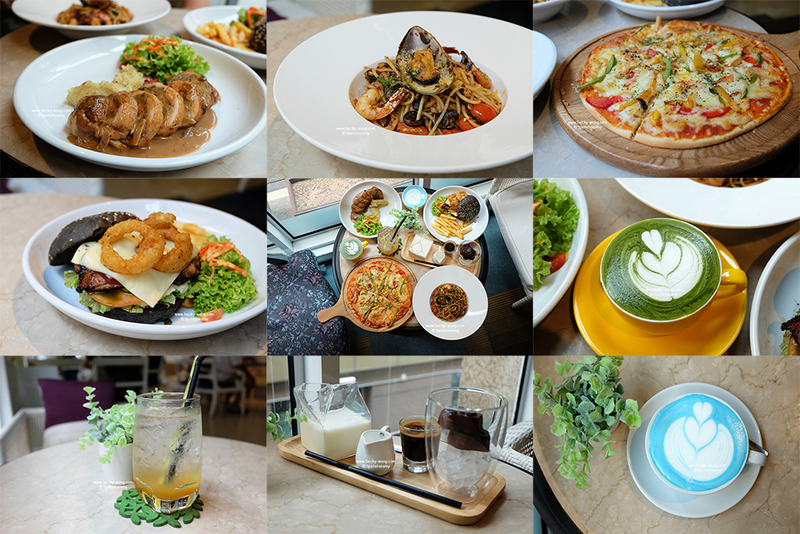 However, during my second visit with my brother and my mom to their branch in Paradigm Mall, it wasn't as good as the first. 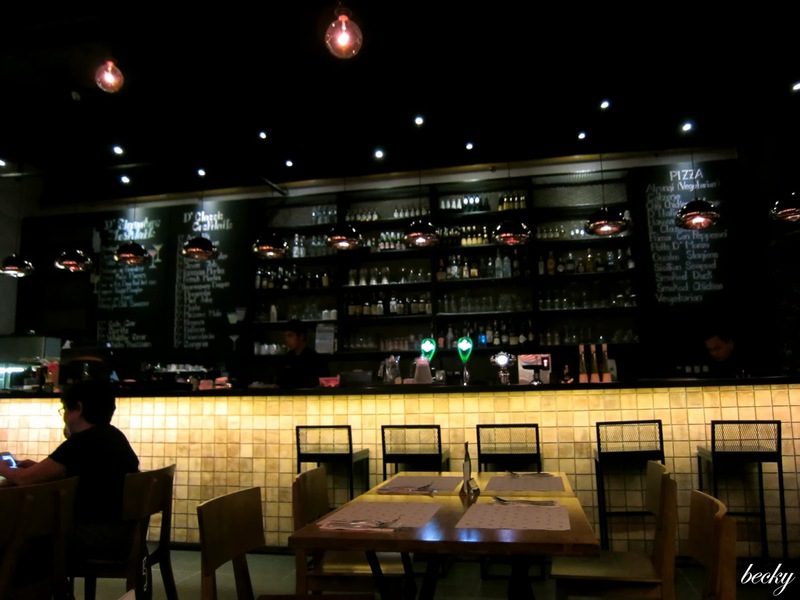 First stepped into the restaurant, I like the ambiance - dimmed lighting with wooden furniture - comfy and relaxing, especially after an entire day of working. We were being seated in between the bar and their wine collection. We waited patiently for our order. We were there early so the crowd hasn't started to build up yet. So, the place was quite and nice. 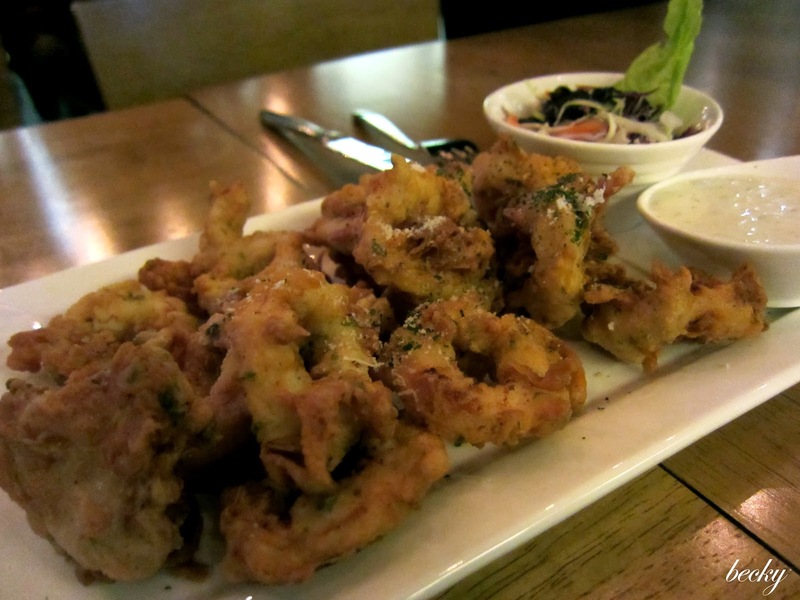 We ordered Calamari Fritti (RM 19.90) as our appetizer to share. The batter was seasoned nicely, the calamari were fried to crunchy on the outside but perfectly cooked on the inside. 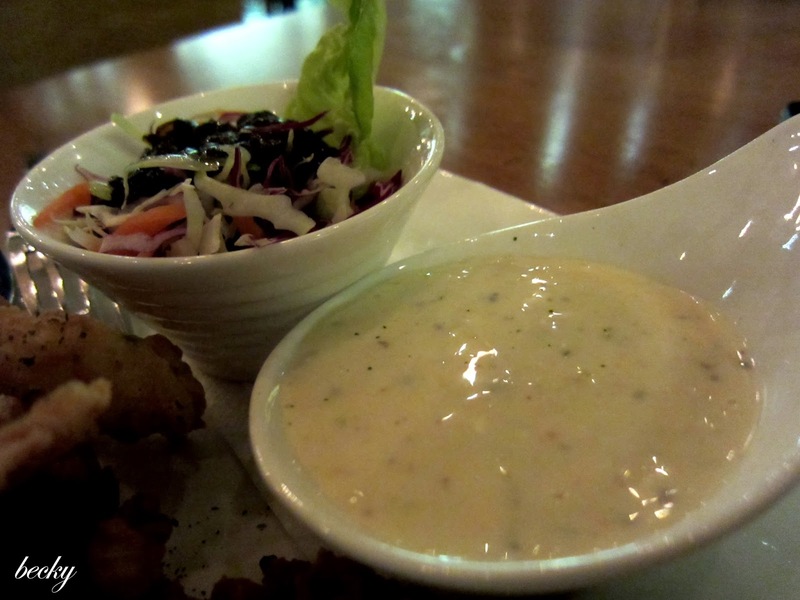 It was served with a Aioli dip, but frankly, I still prefer the dip from Brussels. 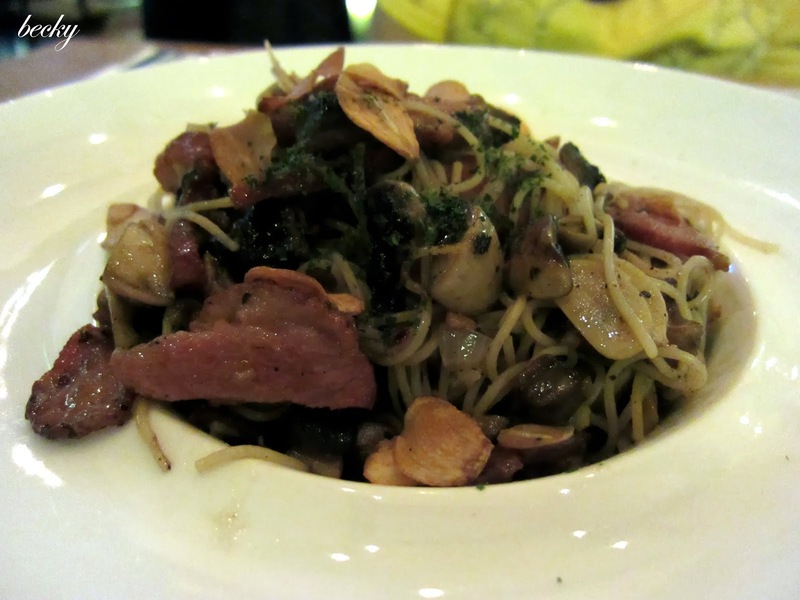 Mom ordered Smoked Duck Aglio Olio (RM 29) as she did not want something too creamy or full of gravy. The aglio olio was almost bland, and I wish they would have season with just a little bit more salt. However, the duck has a pleasant smokiness to it and I totally love any kind of sauteed mushrooms! 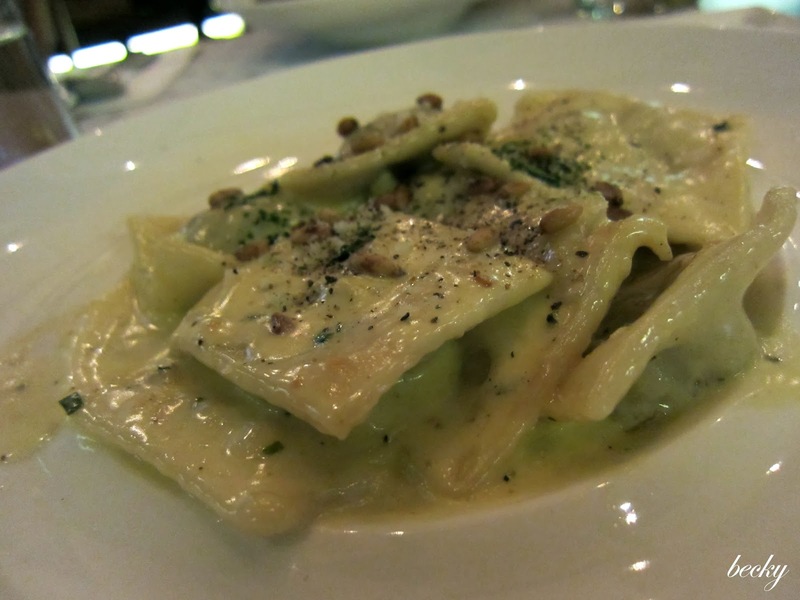 The Braised Beef Ravioli (RM 29) I had was average. The pasta was too thick and it started to feel heavy before I could finish half of the dish. The beef was not too bad, but I'd like it to be a bit more tender. On the other hand, the cream sauce was real delicious - creamy and flavourful! 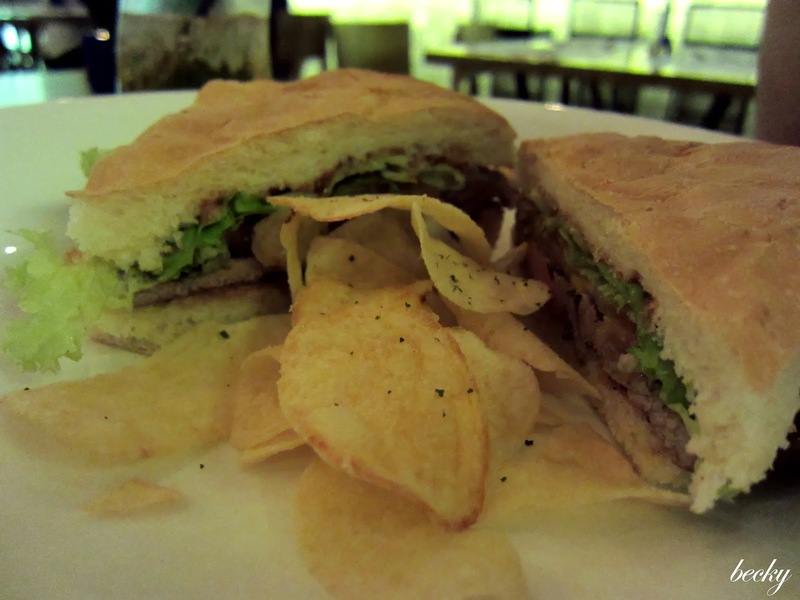 My brother had the Beef Mustard Raspberry Panini Sandwich (RM 28). I did not get to try the sandwich, so couldn't make much of a comment. However, I was busy snatching up the chips at the side! 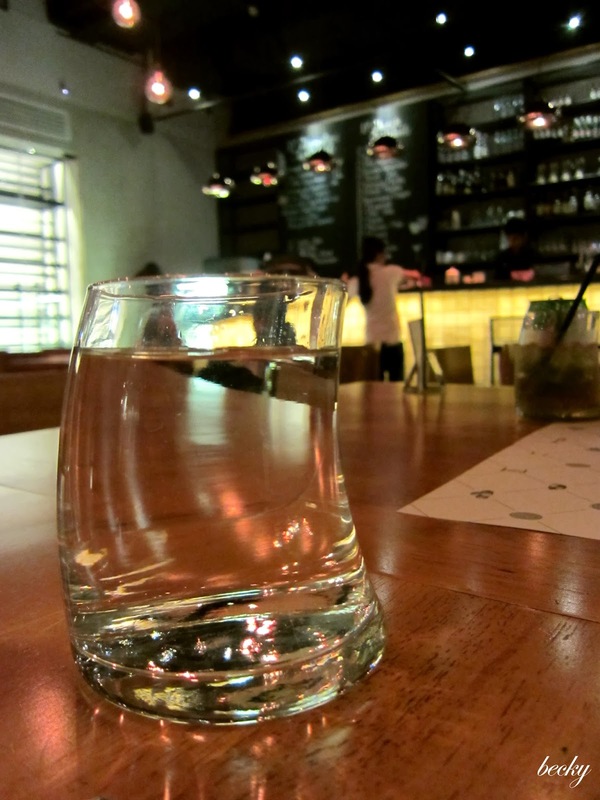 Our total bill came up to RM 131.08 for 3 - with 2 glasses of warm water (RM1/each) and 1 Ginger Ale (RM 6).